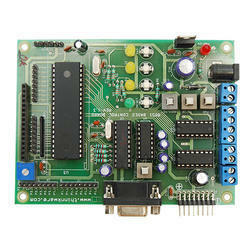 We are a leading Manufacturer of microcontroller based development board from Ahmedabad, India. Backed by profound experience of our experts, we are an unparalleled name engaged in providing high-quality Microcontroller Based Development Board. Looking for Microcontroller Based Development Board ?